Exhibition to explore the charm of the model culture traces the history of the model is held in Toyohashi. 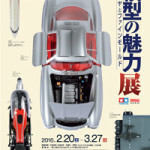 “Model of charm Exhibition Tamiya and Fine Molds” will be held at Toyohashi Art Museum in Toyohashi, Aichi Prefecture. 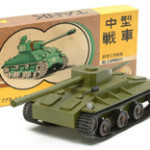 After the war, and have been sent off to a model from the age of wooden model “Tamiya”, has been making the product sticking in Toyohashi, Aichi Prefecture “Fine Molds”. Products and scene work is a point of the model history, the exhibition and interviews photos and development materials. While touching on the history of the model culture approaches to the charm of the model. This entry was posted in Event Report, Vintage on February 3, 2016 by admin.